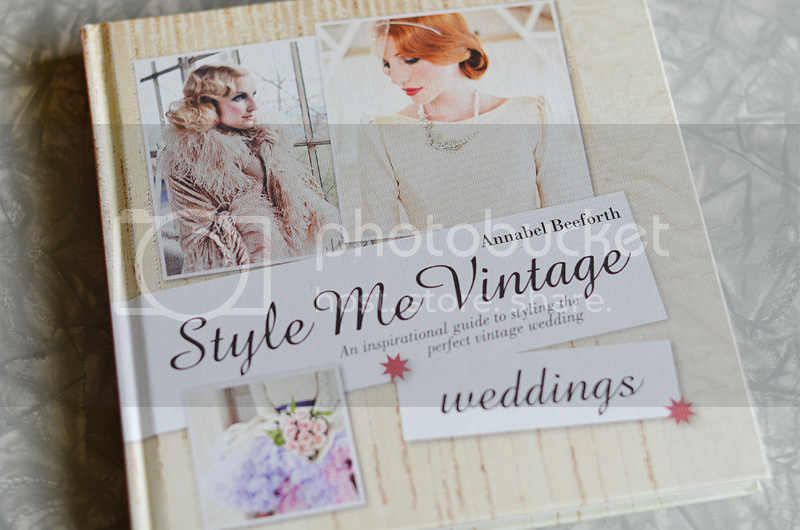 A little while ago I was sent this beautiful book, Style Me Vintage: Weddings by Annabel Beeforth to take a look at. I am not planning a wedding but it is still really awesome to flip through. I wish that I had it when we were planning our wedding because along with being pretty there are tons of tips about the different time periods (1900's to 1970s) from the fashion to decor and small details. So neat! Here are some photos of my favourite parts of the book, the 50s & 60s. I definitely loved my wedding dress but if I was having a do-over of our wedding day I would love to have a dress with some colourful petticoats underneath. I am obsessed with how pretty this looks! The above photo is from the 60s section. I love the colourful puff balls and the model's hair and eye make up. It's so perfect! Another cool thing about this book is that it shows some real brides. The photo above is of a real bride who went with a 50s style dress for herself and then a more 60s look for her bridesmaids. I also really love this wedding dress. So, yeah, I'm totally in love with the styles in this book and just wanted to share some pretty photos with you guys! Wow! These are super neat! I love that colorful petticoat underneath the actual dress. I've actually always thought about doing something like this. Thanks for sharing. Oooooh I think I need this... I love the colorful petticoats, especially. Thank you for posting! oh my, the wedding dress with the purple petticoat is so gorgeous! if i could go back in the past and get married again i would so wear something like that too. colorful petticoats are awesome. Oh, I'll have to check this book out! I had a vintage wedding outfit with a mix of the 1950s and 1960s too. 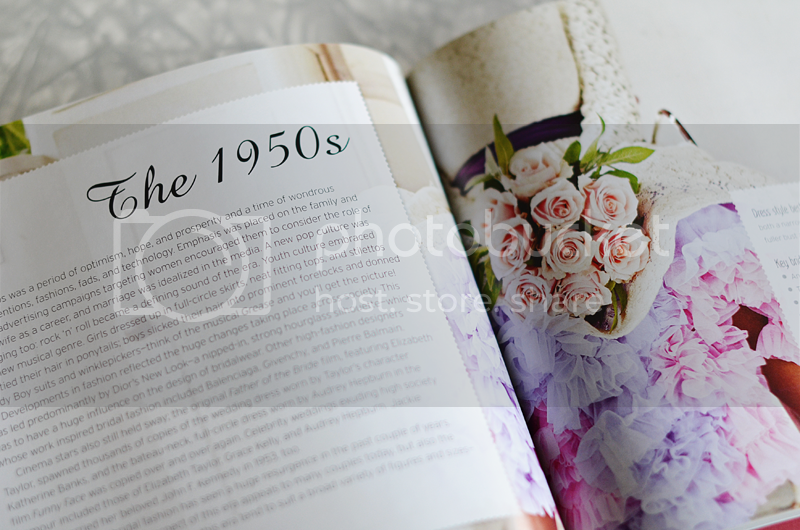 That's the best thing about vintage inspired weddings-- there's so many decades of style to choose from! Ooh, I'll have to keep this book in mind when I'm planning my wedding day with my man. We both loooove vintage inspiration. I love this trend so much! I'm getting married at the end of April and my dress is inspired by the Fifties, I love it so much! That petticoat though... it REALLY tickles my knees! 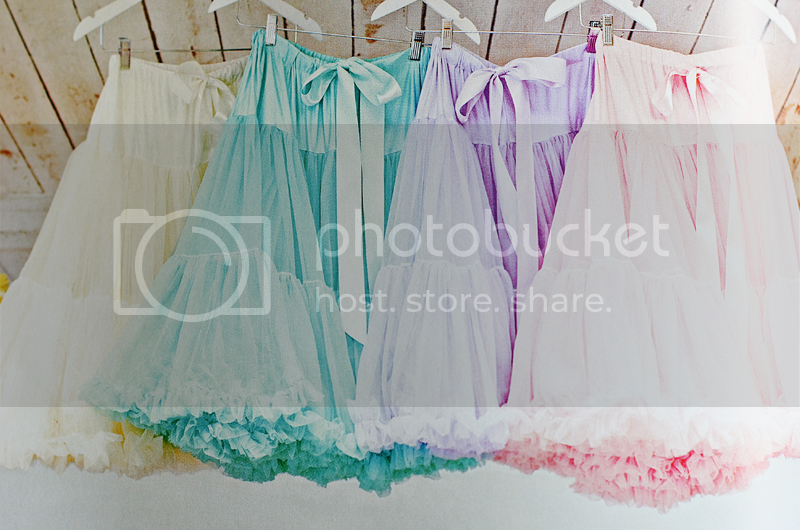 I think colourful petticoats are so pretty under white dresses/skirts! I was tempted to get a yellow one for my wedding but I didn't have the time to search for the perfect one. I love all the photo's and the petticoats are real pretty. But isn't that bridesmaid on the right in the left photo showing a little euhm.. to much? I wonder if this photo is in the book like this. Those shift yellow dresses are adorable!